Our Saddlespan S2000 is the perfect partner to our Saddlespan S5000. A scale model of its larger sibling, the Saddlespan S2000 offers the same good looks on a smaller scale. It is popular for use as an acoustic stage, as a generous bar area or as a main stage for smaller events. 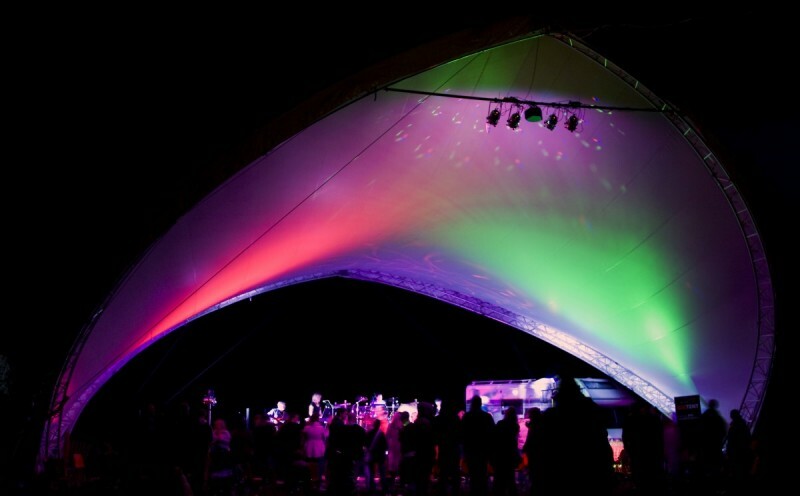 This works perfectly as a crowd cover and shelter in front of our XLR Mobile Stage or as an open stage cover. It is an eye-catching centre piece at any outdoor event. The most popular configuration set up with one end on to provide a beautiful stage cover which can accommodate a stage up to 10m wide. A fantastic event space which stands out due to its size, cavern type “clear span” interior and black out material. This configuration works for a wide range of events from corporate workshops where key note speakers need use of projection equipment, to trade fairs and dance tents where the DJ runs the show to the early hours. The Saddlespan S2000 Event Structure can be installed on grass as a standard installation or on a hard standing such as concrete or tarmac. The more common standard installation can be completed using the Saddlespan S2000 ground anchor system which comes included in the installation cost. If a hard standing is required a full ballast survey can be offered. We can then arrange for the ballast to be delivered to site with a handling solution. 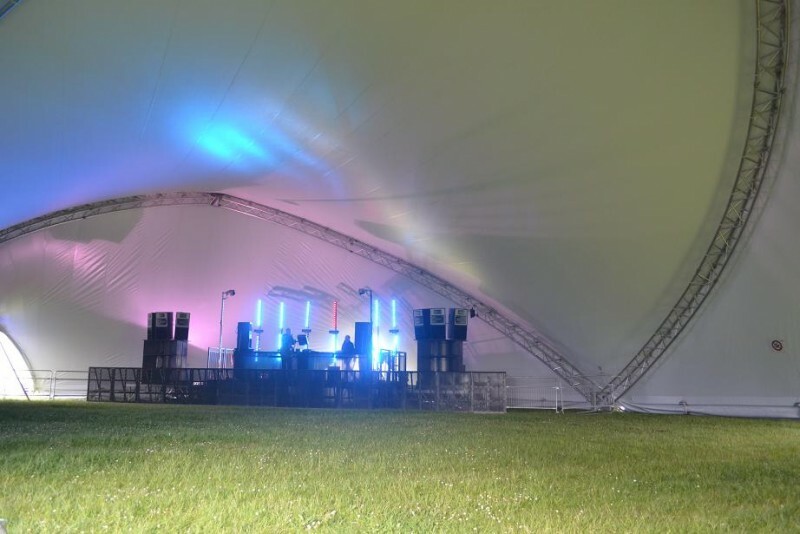 Whatever your requirements Gigtent can offer you a full stress free installation of what is likely to be a key structure to your event layout. 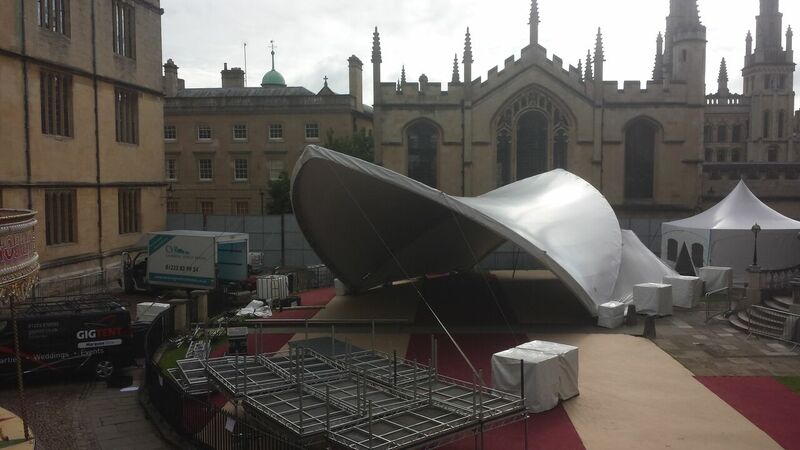 Health and safety is paramount with our all of our structure installations. 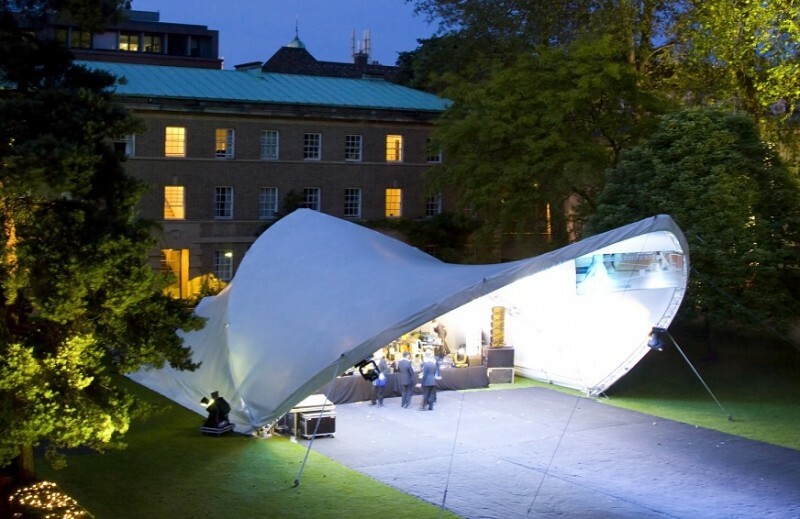 All members of our staff are fully trained, adhere to full PPE and follow strict TDS HSE guidelines during installation and removal of Gigtent equipment. As part of every contract a full risk assessment and liability insurance pack will be sent for your peace of mind. Capacity, HSE`s guide figure for crowd density is 0.5m2 per person.